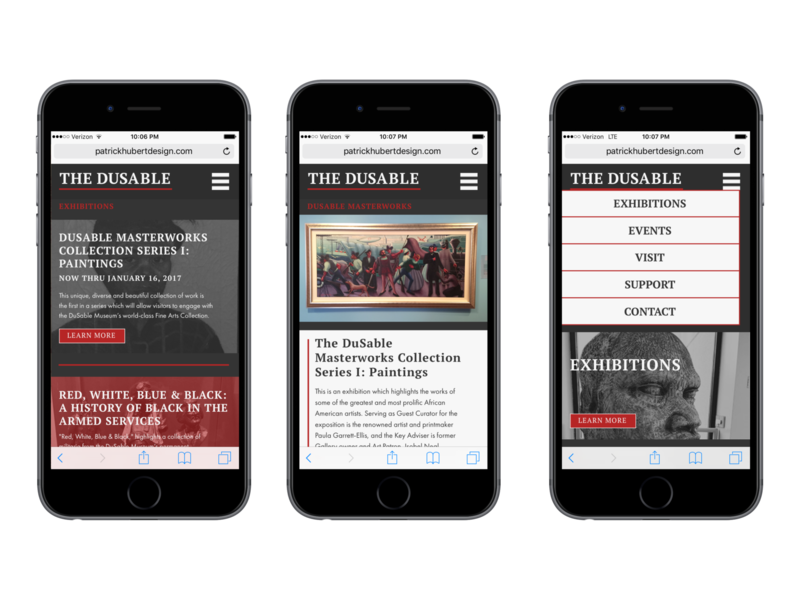 For my Intermediate Interactive Design class, we were assigned to build a prototype mobile website for The DuSable Museum of African American History, which is located in Chicago, Illinois. I visited the museum to generate my own look/feel of the museum and to also take pictures of exhibits that were there. 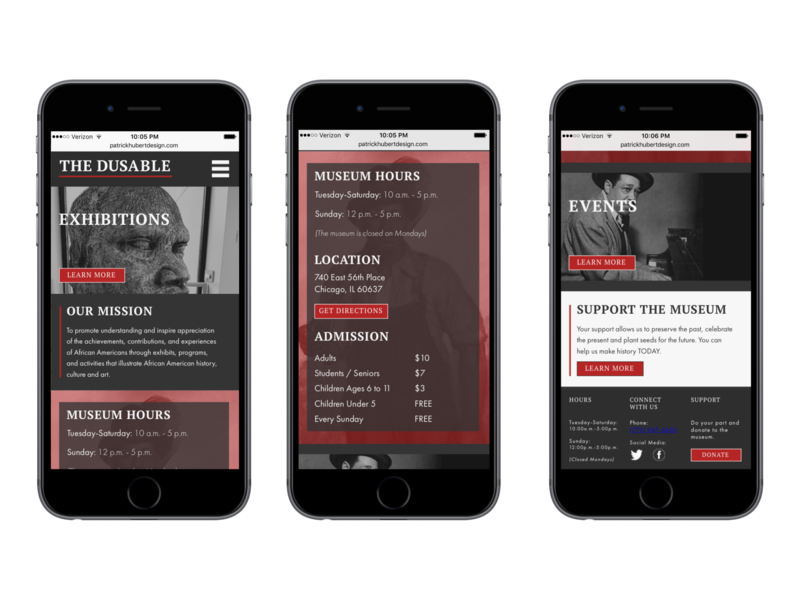 All images featured in the website are images that I took at the museum.